Why Is the Sock Boot So Wildly Popular? We're about to be real: the term "sock boot" doesn't exactly sit pretty on the tongue. Sock? Boots? Put together, they're two words that fill our heads with images of muddy snow and clueless, sandal-wearing dads. So what is it about this unrivaled 2017 shoe trend that's got every street style star completely, irreversibly besotted? Allow us an attempt at dissection. In Spring-Summer 2016, talk-of-the-town label Vetements opened its show with the first iterations of their now-viral skintight, ankle-hugging high-heeled boots.  Trust Demna Gvasalia to linger in our heads—those cigarette lighter stilettos are seared in fashion's collective memory, iconic enough to be regularly remade in new patterns and colors. This current obsession is the resulting aftershock of 2016's massive athleisure craving, in our humble opinion. 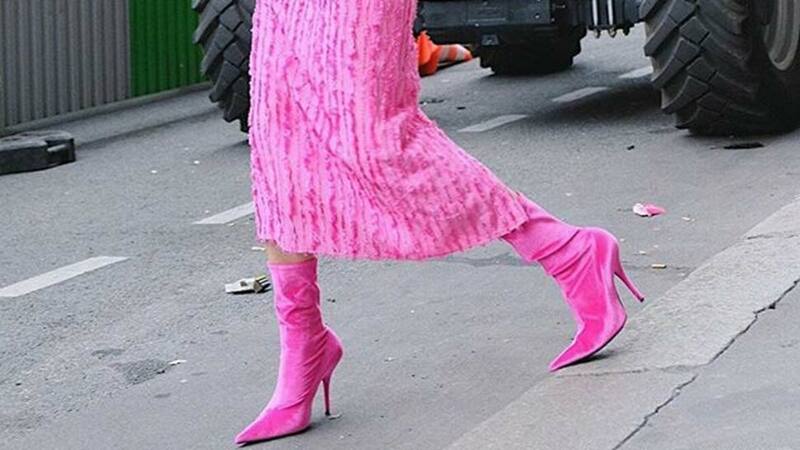 There's no other explanation as to why the world's chicest would willingly pull on a pair of boots that literally look like a pumped-up version of their big brother's gym socks. 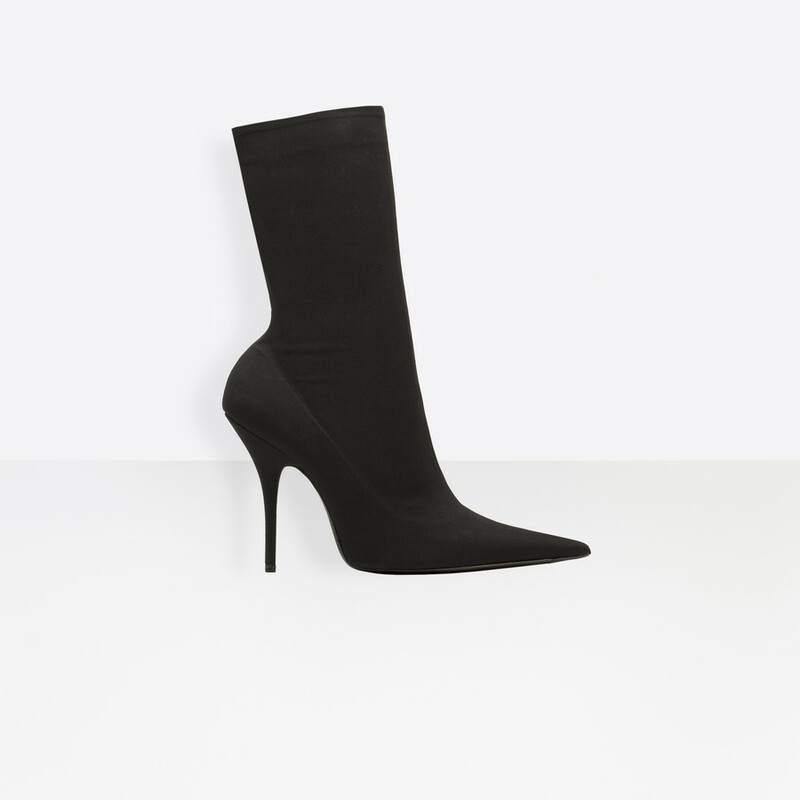 Pin the blame on good ol' Demna yet again, this time for the sporty-sophisticated Balenciaga Knife Bootie—its idiosyncratic legging-esque elasticity has by all means defined fashion's current flavor. 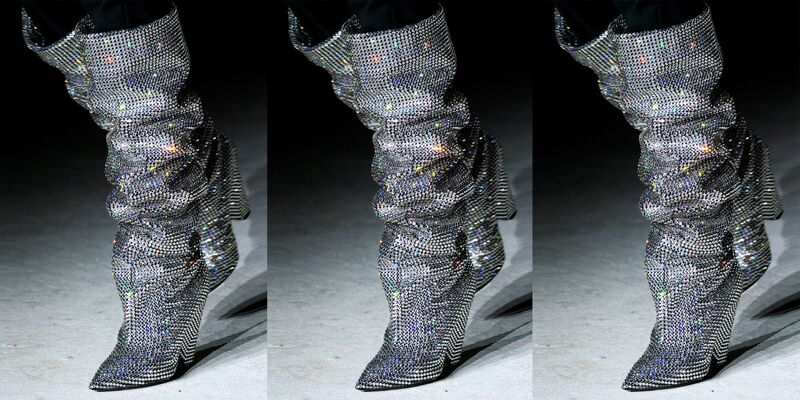 It's been quite the year for boots in general, with a special mention beckoning to be made about those impossibly sparkly, slouchy Saint Laurent ones we're actually never going to get over. Still, it's the sock boot that triumphs, clocking in at number 2 on Lyst's 2017 most-searched shoe roundup. If you thought bodycon was over (fair enough, it has been nearly a decade since 2009), you're in the wrong—this trend decrees that it's your feet and not your figure you should be binding in spray-on stretch. Get with the program.